March 3, 2019: We are working with the City of San Jose on zoning permissions with our intended new location. Please be patient as we continue to work on this, and do know that we have full cooperation with the City of San Jose and District 3. We intend to return this year. Nov 18, 2018 (former update): We are sad to report that today is the Japantown Farmer's Market’s last day at the Corporation Yard location on 6th/Jackson Streets. The Japantown Business Association is working with the City of San Jose to open in a new location as soon as possible. There is no need to advocate for its return, sign petitions, or email District 3's Council office – local agencies know and understand how important this market is to the community. Sign up to be emailed when the market reopens, and we will let you know as soon as we can. Thank you for your understanding, and deep gratitude to our vendors for their patience. 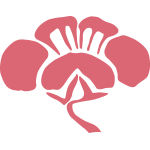 Visit our sister site for more information about events in Japantown. 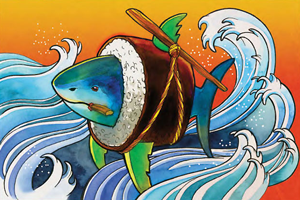 The Sushi Shark was made by Doug Wright as part of the Shark Byte Project in 2001 and was donated to Japantown by Don Gagliardi. It was restored in 2017 by Carole Rast. It can be seen in the window of Kogura Company. Featuring businesses that provide specialty goods, markets, and services for your home and business, Japantown has it all. We have arts organizations, civil liberties organizations, and community support for senior citizens. Take a walk around Japantown and review the landmarks that represent our history and culture. We represent one of the last three remaining Japantowns in the United States.